The Because Project: Joseph A. Citro | Because Project | Kids VT - small people, big ideas! "I've spent the last 30 years writing about Vermont and Vermonters in part because of Ida May Fuller." Strictly speaking, Aunt Ida wasn't a relative. In my childhood, it was proper for young people to address all older women as "aunt." But she was as close as family. She was the earliest formative influence I can identify and probably the first person I met in this world after my parents brought me home from Rutland Hospital. "Home" was Aunt Ida's house. I didn't realize until much later that we were her tenants. Fact is, she was more like a grandmother than a landlady. She was in her seventies when I was born. The door separating our apartments was never closed. 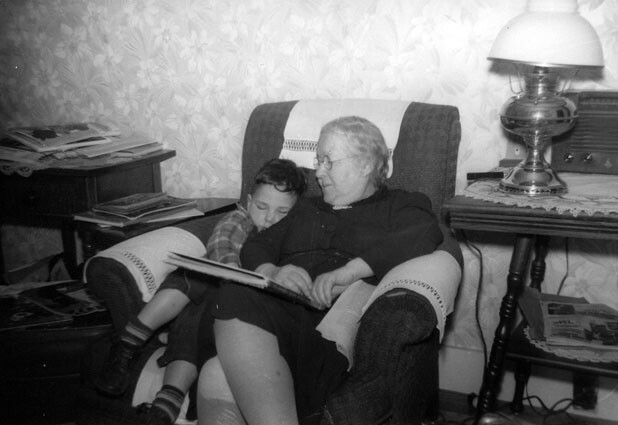 I can remember peeking in to see her sitting in her padded rocking chair by the window, black shoes on a footstool, rectangular magnifying glass poised above her as she read — a newspaper, a letter, a book or the Bible. She'd look up, smile and invite me to the "Davenport." We'd sit side by side while she read to me. On sunny days, we'd likely sit on the porch — the "piazza," she called it — in matching rockers. There, she taught me the names of the birds, showing me how to describe my surroundings. The birds were everywhere, like flying flowers. I remember telling her that the bluebirds looked like robins, colored wrong. As easily as she ingrained words and stories into my life, Aunt Ida demonstrated to me what being a true Vermonter was all about. With the money she saved, she went to Boston to study business. Then, from 1905 until she retired in 1939, she worked as a legal secretary for John G. Sargent, who would become attorney general in the Coolidge administration. She never touched coffee or tea, preferring a cup of hot water with her meals. She never raised her voice nor appeared to be angry or confused about anything. She could quote the Bible but didn't. Instead, she quietly lived and taught the principles of Jesus. "He's as much alive now as he ever was," she once told me. And she never married. Those who didn't call her Aunt Ida addressed her as Miss Fuller. Everyone knew she was independent; some might have said she was ahead of her time, but she wouldn't have gone along with that. Aunt Ida achieved some unexpected local notoriety when she was invited to appear on the television show "I've Got a Secret" with Garry Moore. Her secret? She was the first person in America to be issued a Social Security check, number 00-000-001. She emphatically refused to be on the show, though. It wasn't that she didn't want her secret known, just that the show's sponsor was a tobacco company and smoking was against her principles. Aunt Ida never smoked nor owned a television. She was 100 years old when she died, in 1975. While many things led me to become a writer, Aunt Ida was a very potent part of the alchemy. She taught me about the world, a thing or two about women, and the best things about Vermont and Vermonters — principle and independence — all from her sofa, her piazza and her heart. 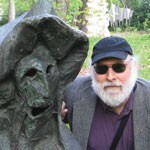 Joe Citro is a Vermont author known for writing about local and regional folklore, hauntings and paranormal activity. His nonfiction works include "The Vermont Monster Guide" and "Weird New England." 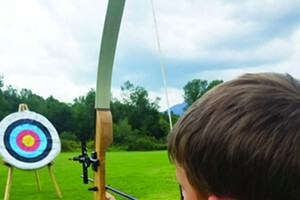 The Vermont Children’s Trust Foundation supports statewide prevention programs for children and families to help give all kids a fair chance at success. Submit your stories for the Because Project! Email them to fagan@vtchildrenstrust.org. Submissions should be 300 to 600 words long and respond to the prompt "I am/decided to/ learned to _______ because of ______." Kids VT will feature one of these stories in each issue. "I became an artist because of my elementary school art teacher."